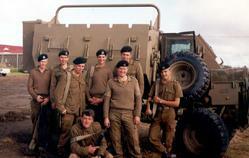 Regiment Mooirivier was founded in 1954 as 2 Antitank Regiment SAA/ACF. 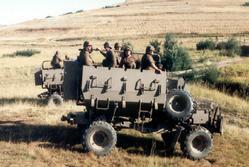 During 1955 the regiment was converted to an armoured car regiment and renamed Regiment Hendrik Potgieter. 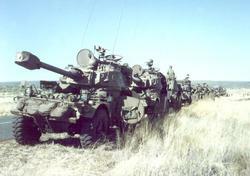 In 1959 the Regiment was renamed Regiment Mooirivier. The first Officer commanding was Commandant (Cmdt) J.S. du Plessis from Apr 54 - Jan 67. He was succeeded by the following officers: Cmdt C.W.A. 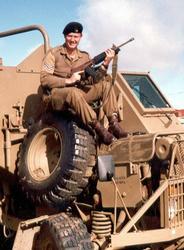 Steyn (Jan 67 - May 71); Cmdt C.H. Heenop (May 71 - Nov 79). Cmdt S.G. Greyling (Dec 79 - Dec 87); Lt Col W.H. 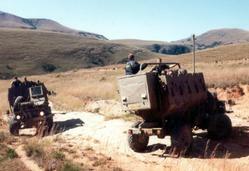 van Zyl (Jan 88 - Mar 2001) and Lt Col T. du P. Snyman (May 01 to date). 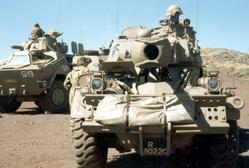 The first Regimental Sergeant-Major of Regiment Mooirivier was WO 1 P.F. Smit from Apr 54 - Jul 96. He was succeeded by the following Regimental Sergeant-Majors: WO1 S.W. 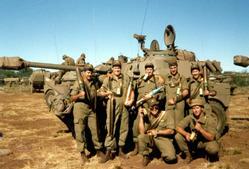 van der Merwe from Jul 66 - Mar 93 and WO1 W.J. Wagner from Apr 93 - Dec 97 from Jul 02 - Nov 01 and from March 03 to date. The Regimental Badge came into use during 1969. The motto of the Regiment is SEMPER PRORSUM - Ever Forward. The Regiment was presented with its Colour on 9 Sep 72 by Adm H.H. Bierman, SSA OBE, Cmdt Gen of the South-African Defence Force and on the same day the City Council of Potchefstroom conferred the Freedom of Entry to the City of Potchefstroom upon the Regiment. 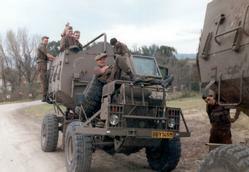 Regiment Mooirvier served in the operational Area on several occasions during 1976, 1977, 1980, 1983, 1984 and 1988 since then the Regiment has participated in training exercises.